1. What is Sprained Ankle? 2. 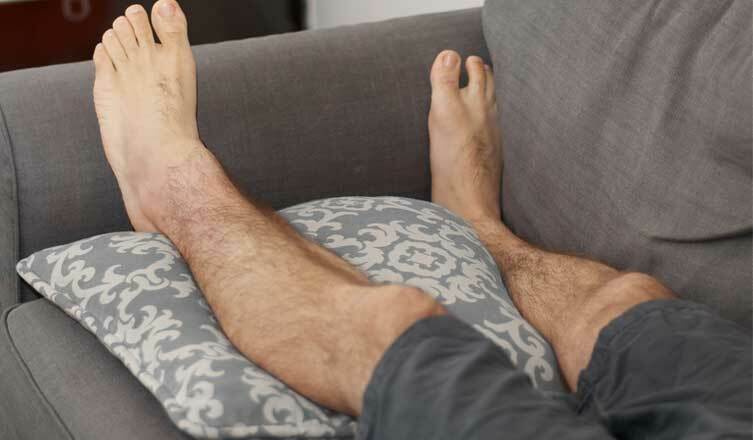 What causes an Ankle Sprain? 3. What Are The Symptoms of Sprained Ankle? 4. When To See The Doctor? 5. How to Cure A Sprained Ankle? 21. How To Preven A Sprained Ankle? One of the most popular injuries is ankle sprains. Anyone can face this problem when playing sports or even walking on an inconvenient surface. It may make your feet swollen or severely painful. The most serious symptom you can notice is a “pop” in your feet when ankle sprains happen to you. If you do not address the problem of sprained ankle properly, it can lead to more serious health problems in the future. For example, pains will continue for the rest of your life. Therefore, please have a doctor examine your conditions and give you a complete understanding of ankle sprains. Sprained ankle usually happens as your foot rolls or twists suddently, which forces the ankle joint to be out of the normal postition. Some physical activites can lead your ankle to be inwarded or twisted due to unexpected or sudden movement. This might cause one or even more ligaments surrounding your ankle to tear or stretch. After that, you can feel discomfort and pain when placing weight over the areas infected. Cartilage, blood vessels or tendon can be triggered by srpain. You should bear in mind that anyone at any ages can have sprained ankle. Taking part in walking, sport, uneven surfaces or putting on inappropiate footwear can also partly result in this issues. The ankle can be one of the most common body parts sustaining may various kinds of injuries. You are highly recommended to see your doctors right away when contracing any ankle-related isssues. Hence, the doctor can examine if the issue is a sprain or is something even more severe. How to Cure A Sprained Ankle? In fact, there are many effective home remedies for sprained ankle which have been used for ages. In most cases, they all help the sufferers enjoying a better life without suffering from any discomfort. Here are 15 simple yet effective home remedies for sprained ankle which anyone can apply in order to treat mild sprained ankle and improve the recovery of severe ones. Ice is one of the best home remedies for sprained ankle, as it is available in every household and has a great impact on swollen parts. It can prevent bleeding and decrease the degree of pain. After the injuries happen, it is better use ice on the swollen or aching parts of the body in the first or second day. Put some ices in a clean towel. This should be done as putting the ice on the skin might lead to other problems. Put it onto the aching parts. Leave it for 20 minutes. Repeat this after 2-3 hours. When you notice the ankle become white, it is time you had to stop using ice immediately. That is a sign of cold injury. 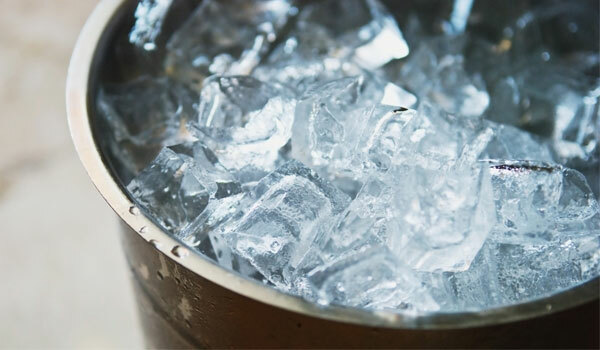 Ice can cause some problems to those who suffer from diabetes; therefore, it is better to ask the doctors for advice before applying this method. Check more ice health benefits in top useful treatments for healing bone. With anti-inflammatory property, turmeric is one of the most common and instant home treatments for sprained ankle. It has little effect on the skin and tissues, but helps the patients getting rid of pains and improves the recovery. 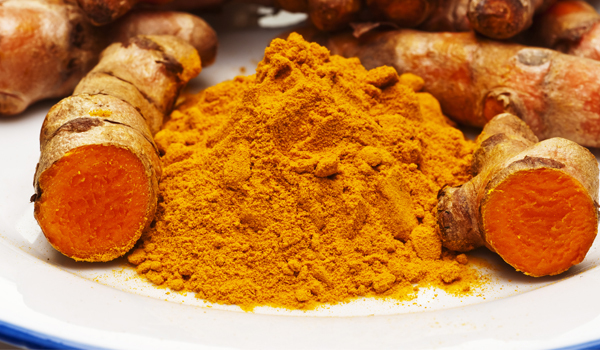 In 2007, researchers published a report on the American Journal of Physiology to confirm the efficiency of turmeric in the treatment of ankle sprains and even plantar fasciitis. Mix turmeric powder with a glass of warm water. You can add lime juice to increase the benefits. Following this every day to enhance the treatment of sprained ankle. Turmeric is an extremely helpful home remedy due to its effective impact on such complicate diseases. You can find out more at: Home Remedies for Scabies and Phlegm. 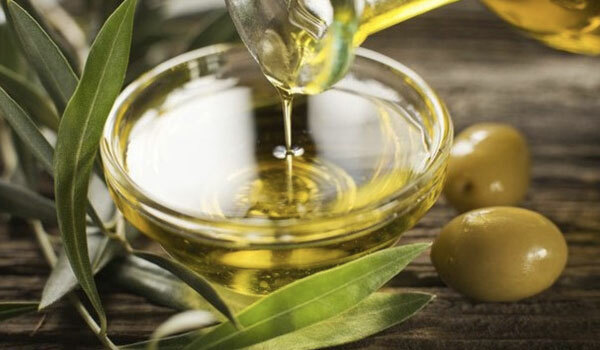 Olive oil is a perfect answer on how to treat a sprained ankle at home. Many essential compounds which are present in olive oil have tremendous advantages in the treatment of sprained ankle. Olive oil can help reducing the pain caused by ankle sprains. Mix a spoonful of olive oil with an egg yolk. Use the mixture to apply on the aching parts. Cover these areas with a clean towel. Follow this tip for some weeks. Olive Oil is a popular item in the households and it can also treat some other popular problems effectively as well. You can find out more at: Home Remedies for Hangnails and Razor Burn. 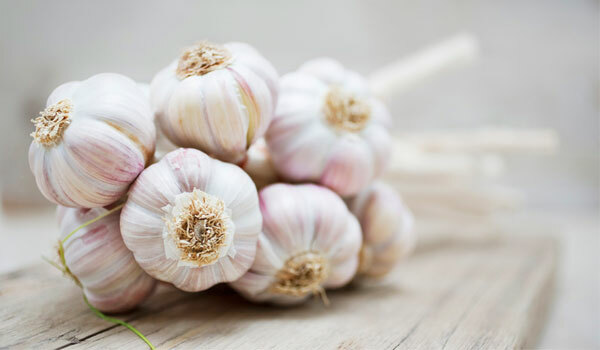 One of the most impressive health benefits of garlic is it becomes among top home remedies for sprained ankle, is very rich in nutrients which enable the sufferers to improve the recovery and stop aching. It helps getting rid of uncomfortable conditions caused by symptoms of ankle sprains. There are many ways to make remedies from garlic. Take a spoon of garlic juice into a bowl. Add 2-3 spoons of coconut oil into it. Apply the mixture on the aching areas. Use warm water to clean those areas. Repeat this method 3-4 times daily before you no longer feel painful in ankle. Garlic is very good at treating problems related to joints and even digestive problems. You can find out more at: Home Remedies for Rheumatoid Arthritis and Anorexia. Onion is mostly used to relieve the pain in the ankle pain relief. 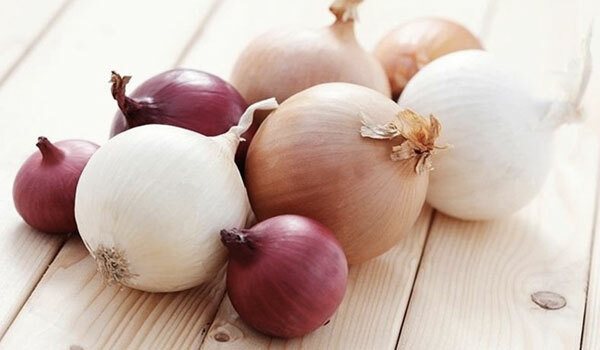 Providing a variety of anti-inflammatory nutrients, onions can help enhancing the body’s strength. Leaving a large onion in the refrigerator for 1-2 hours. It should be chopped into small pieces. Mix some salt with onion pieces. Apply it on the swollen or aching ankle. Cover that part with a bandage. Remove the mixture after 8 hours and repeat the procedure until you feel better. If you want to learn how to relieve a sprained ankle, you need to be well-aware of the benefits of ginger. It is a supporter to many health problems, including ankle sprains and swollen feet. Then, let the mixture be warm. Use a clean towel to apply the mixture on the aching parts. There are some notes you need to remember about this remedy. It should be followed a few days after the moment you feel painful in ankle. In addition, hot water is not suggested to use as it may lead to other consequences, one of which is to harm the skin. Aloe Vera is well-known in the world of herbal medicine. But many of us do not notice that it is also mentioned as one of the best home remedies for sprained ankle. It has been used by thousands of sports players who often face injuries during exercises. The most important advantage of Aloe Vera is to relieve the pain and accelerate the healing process. To treat the ankle sprains, you should take the gel of Aloe Vera and apply it on the aching areas. Leave it there until the gel’s dry. If you are wondering what to do for a sprained ankle at home, let’s go for cabbage. 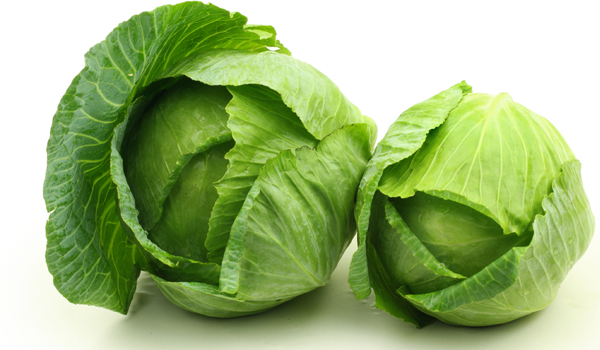 Having a diversity of vitamins, cabbage is considered as one of the most popular home remedies for sprained ankle. Using cabbages in the treatment of sprained ankle can help reducing the pain and swelling. Choose a fresh cabbage and cut off outer leaves. The leaves need to be squeezed to get rid of its juice. Put the leaves over the heat to make them warm and apply them on the swollen or aching parts. Leave it for half an hour and repeat this method daily. The answer on how to deal with a sprained ankle is no longer hard to tell. Arnica has been made into medicine for the last 4 centuries. Nowadays, it still plays an important role in the treatment of many health problems, including ankle sprains. One of its best advantages is to improve the muscles and stop bleeding. Use arnica oil on the aching ankle. After 5 hours, remove the bandage and repeat the procedure until you feel better. However, some people may not be used to apply arnica; therefore, it may lead to some skin problems. Before applying the arnica oil on the whole area, you’d better examine and understand your condition better. Click more to know how to get relief from heel pain by using arnica. Some essential oils for sprained ankle treatments are always available. 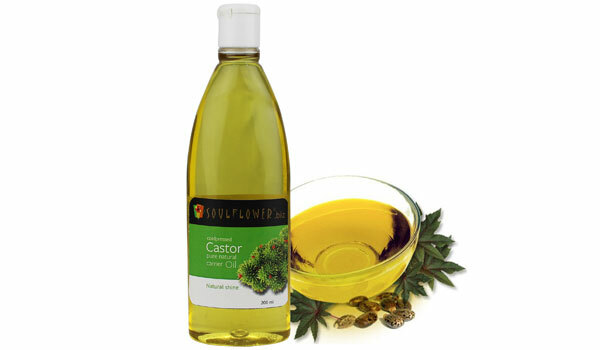 Ricinoleic acid is one of the main components of castor oil and it is very helpful in the treatment of sprained ankle. First, a cotton cloth should be used to apply the castor oil on the aching areas. Then, you should wait for 30 minutes so that the castor oil can help you relieving the pain caused by ankle sprains. Finally, remove it and massage your ankle. Repeat this method few times a day until you see positive changes. The main purpose of using lemongrass oil as the best natural remedy for sprained ankle for ankle sprains is to help the sufferers getting rid of the pain in muscles and joints. Mix lemongrass oil and olive oil with the ratio 1:4 and apply the mixture on the aching parts. This solution should be done 2-3 times a day. 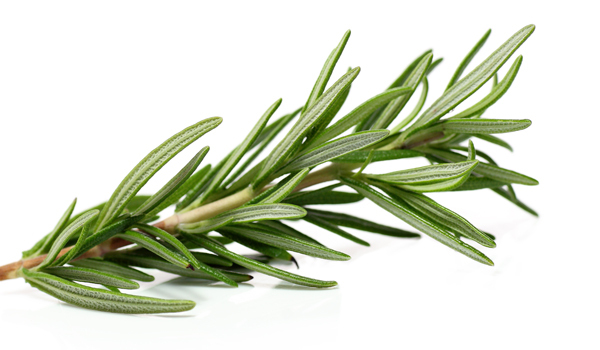 Another method to eliminate the annoying pains caused by ankle sprains is to use rosemary. You should use only its leaves and cut it into small pieces. Mix all of them with alcohol and put the mixture in the dark place. In the next step, you can use cheesecloth to get the mixture strained. Finally, apply it on the aching parts when you feel painful. There are many oils that can be used to make effective mixtures in the sprained ankle treatment. For example, you can choose lavender oil, clove oil and German chamomile oil to relieve the pain and improve the healing process. You might want to know how chamomile benefits your health. Learning how to heal a sprained ankle fast is not difficult enought thanks to the compression cure. As soon as the injuries happen, you need to use a bandage to treat the sprained ankle unless you want to worsen the conditions. Keep the bandage for a few days. In case you notice the blue in the aching areas, the bandage must be removed immediately. Cold compression is also an effective way to address the problem of leg pain. Using sweet marjoram oil directly on your painful ankle 2-3 times per day can provide your body with a chance to get rid of pains and recover soon. This treatment is known as one of the helpful tips on how to fix a sprained ankle quickly and effectively. How To Preven A Sprained Ankle? Note: You had bettet phone the doctor at once as you think you might have sprain on your ankle. If remained untreated, the injury can result in long term pain as well as inability in your ankle.